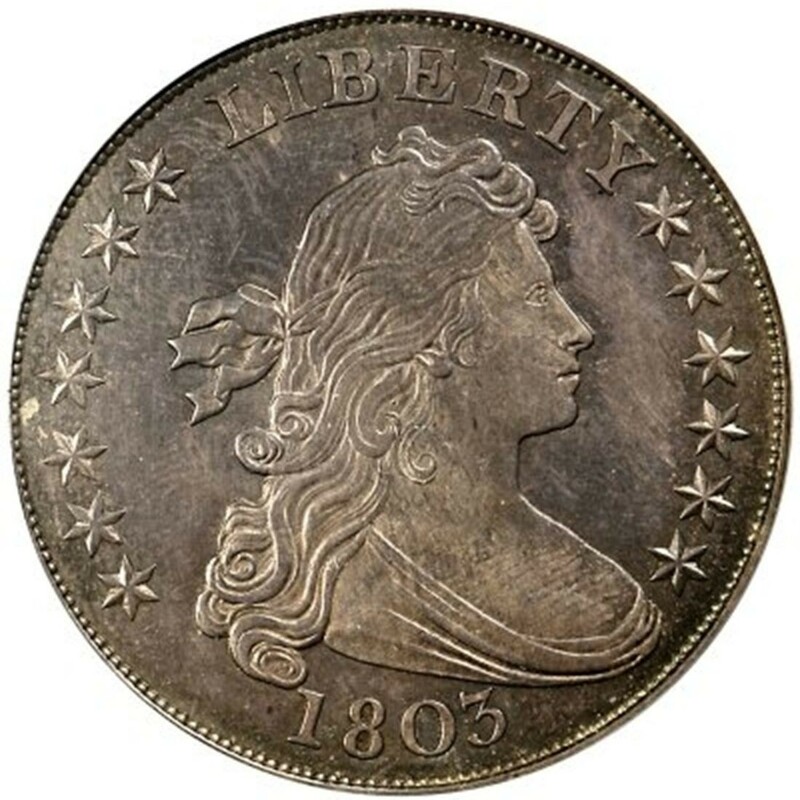 1803 Draped Bust dollars are scarce coins in every respect, with a low mintage and far fewer survivors left for collectors who desire these coins today. The Draped Bust dollar is undeniably a popular early American coin series, and untold thousands of coin collectors actively seek these old silver dollars today. They’re expensive coins, though this very fact puts them out of reach of most coin collectors who want these classic silver dollar coins. 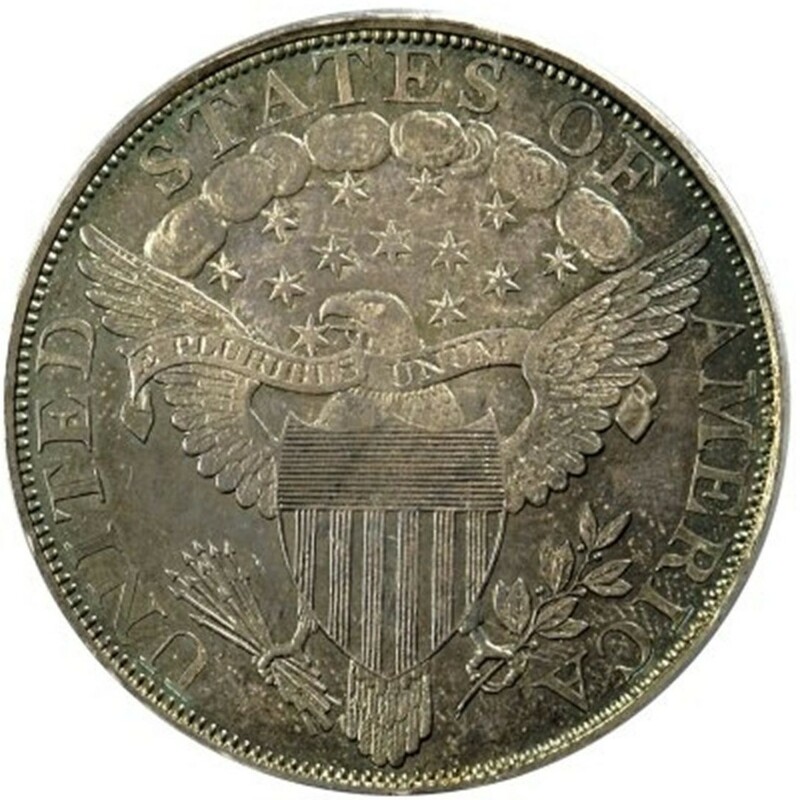 The entry-level price for an 1803 silver dollar is about $1,000 to $1,200 for a problem-free example in a grade of Good-4. Bargain hunters will find specimens in the $500 to $750 range with problems such as past cleanings, holes, gouges, and serious dings. While these high ticket prices usually suggest most collectors buy just one example of this classic type coin, there are those who seek buying at least two 1803 Draped Bust dollars representing each of the major die varieties noted for the year. These include the 1803 Small 3 dollar and 1803 Large dollar. Both are priced fairly equally, though there is some evidence to suggest there are more 1803 Small 3 dollars than there are 1803 Large 3 specimens. In all, 85,634 dollar coins were struck in 1803, but there are approximately just 3,200 surviving pieces. Designed by Robert Scot, the Draped Bust dollar was minted from 1795 through 1804, though officially all dollars that were minted in 1804 were actually dated 1803. Many collectors inquire about the world-famous 1804 silver dollar and its origin. That coin would not come to fruition until some 30 years later, when it was minted as a special strike coin for inclusion in diplomatic proof sets. There were also a variety of restrikes minted shortly afterward.